Rent villas and apartments in Pescara Province, Italy with private pools. Book affordable holiday rentals that are near a beach and golf course. 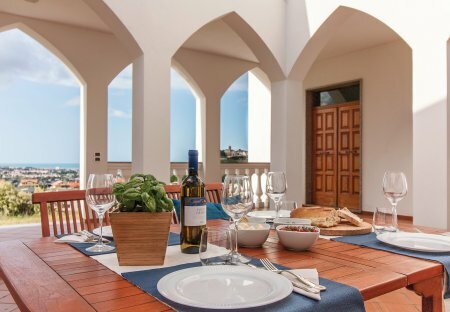 This 5 bedroom villa with private pool is located in Spoltore and sleeps 10 people. It has WiFi, air conditioning and barbeque facilities. The villa is near a beach. 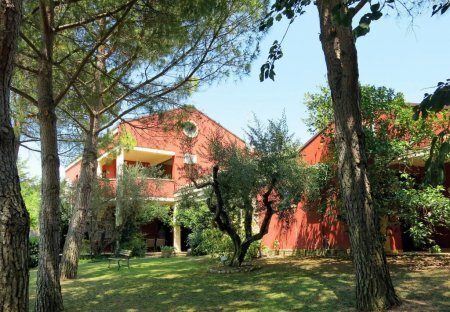 This 5 bedroom villa is located in Penne and sleeps 10 people. This 9 bedroom villa with private pool is located in Città Sant'Angelo and sleeps 20 people. It has WiFi. The villa is near a beach. This 3 bedroom apartment with swimming pool is located in Collecorvino and sleeps 6 people. It has WiFi. The apartment is near a beach. This 5 bedroom apartment with swimming pool is located in Città Sant'Angelo and sleeps 10 people. It has WiFi. The apartment is near a beach. This 4 bedroom apartment with swimming pool is located in Città Sant'Angelo and sleeps 10 people. It has WiFi. The apartment is near a beach. This 5 bedroom villa is located in Fonte Umano-San Martino Alta and sleeps 10 people. It has WiFi, air conditioning and barbeque facilities. The villa is near a beach. This 2 bedroom apartment with swimming pool is located in Città Sant'Angelo and sleeps 5 people. It has WiFi. The apartment is near a beach. This 2 bedroom apartment with swimming pool is located in Collecorvino and sleeps 6 people. It has WiFi. The apartment is near a beach. This 4 bedroom villa with swimming pool is located in Città Sant'Angelo and sleeps 8 people. It has barbeque facilities, parking nearby and a gym. The villa is near a beach. Independent house in the national park of Maiella and Morrone, near the ancient town of Tocco Casauria, immersed in an old olive grove, overlooking the mountains. Furnished private outdoor area. This 1 bedroom apartment is located in Collecorvino and sleeps 5 people. This 1 bedroom apartment with swimming pool is located in Collecorvino and sleeps 2 people. It has WiFi. The apartment is near a beach. This 1 bedroom apartment with swimming pool is located in Collecorvino and sleeps 4 people. It has WiFi. The apartment is near a beach. This 1 bedroom villa with swimming pool is located in Fonte Umano-San Martino Alta and sleeps 3 people. It has WiFi. The villa is near a beach. This 2 bedroom apartment is located in Montesilvano Marina and sleeps 6 people. It has parking nearby, a gym and a spa. The apartment is within walking distance of a beach.